"In the next war, there will be no red lines" threatens Hezbollah chief Nasrallah. Hezbollah chief Hassan Nasrallah threatened unprecedented attacks on Israel in the next confrontation between the two. Speaking on Monday evening to the Beirut-based Al Mayadeen news agency, Nasrallah discussed rumors of an impending military escalation. Nasrallah remarked that a wide-reaching conflict was unlikely in the near future. Israel, he claimed, would not respond to Hezbollah provocations with broad military action. “Israel will not undertake military operations [against us] that will lead to war without a green light from the US. I think it’s completely impossible that the Obama administration would give its backing for a war,” Nasrallah said. If Israel does respond to Hezbollah, however, Nasrallah threatened a wide-range of unprecedented attacks on Israel, including Israel’s nuclear facilities. “We have a full list of targets, including Israel’s nuclear facilities," Nasrallah said. "In the next war, there will be no red lines." 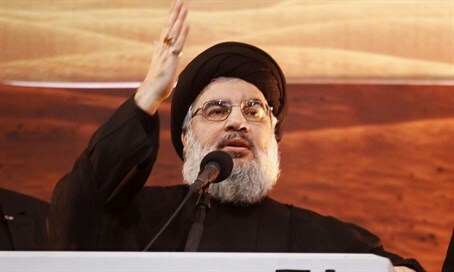 In February the Hezbollah leader suggested that the organization would strike Israel’s chemical plants in Haifa, referring to the ammonia storage tanks there as “Hezbollah’s nuclear bomb”. In the five years since the beginning of the Syrian civil war, Hezbollah has benefitted from a flood of Russian and Iranian weapons sent to bolster the struggling Assad regime. Last month it was revealed that Hezbollah had acquired advanced anti-air capabilities, including sophisticated radar tracking devices.